Woven in the 1900s, this formal antique rug from India features an elegant honeycomb latticework pattern decorated with a vibrant selection of jewel-tone colors. 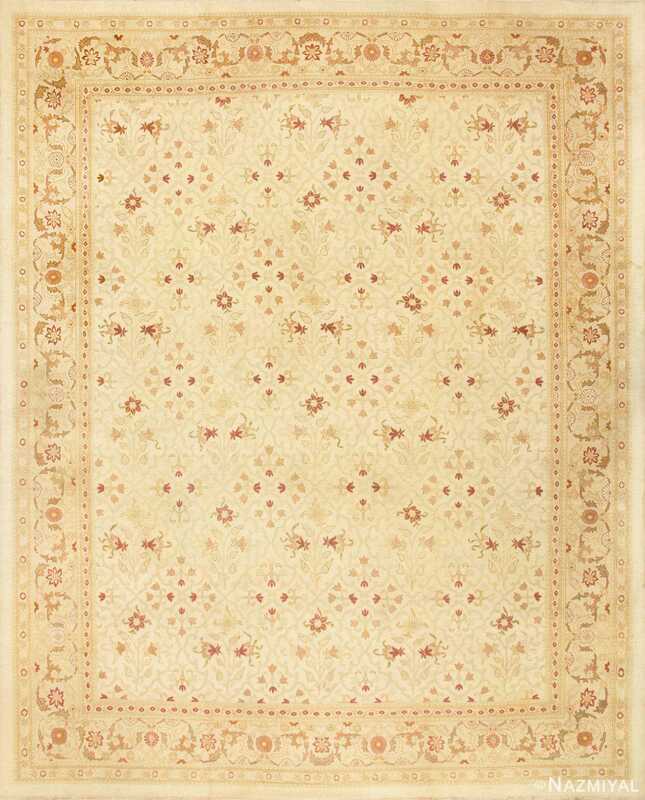 Antique Indian Rug, Country Of Origin: India, Circa Date – 1900 – This vibrant antique rug features an elegant combination of grand vases and floral motifs linked by sinuous vine scrolls. Reciprocating floral patterns and delicate botanical motifs continue through the borders and guard bands. Vibrant jewel-tone colors decorate the honeycomb latticework pattern that covers the field. Each isolated cell features a unique combination of large and small-scale motifs. Foliage vines decorated with teardrop leaves divide the colorful cells while intricate vine scrolls change color as they travel through contrasting backgrounds to form a continuous allover pattern. 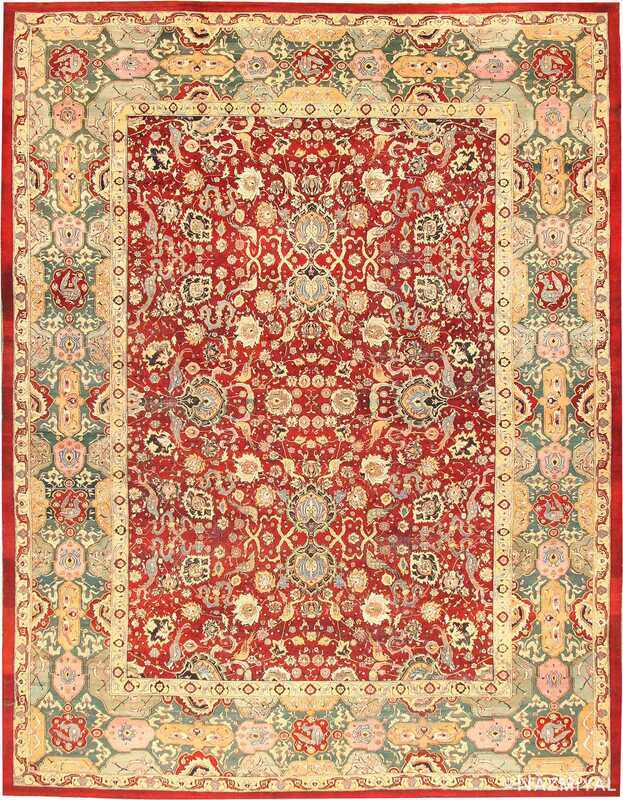 Vibrant cerise borders and muted turquoise guard bands continue the delicate floral theme and beautifully varied color palette that gives this exquisite rug an elegant Indian air. Beautifully sophisticated, this antique rug from India features a beautifully varied color palette and a tremendous level of detail. 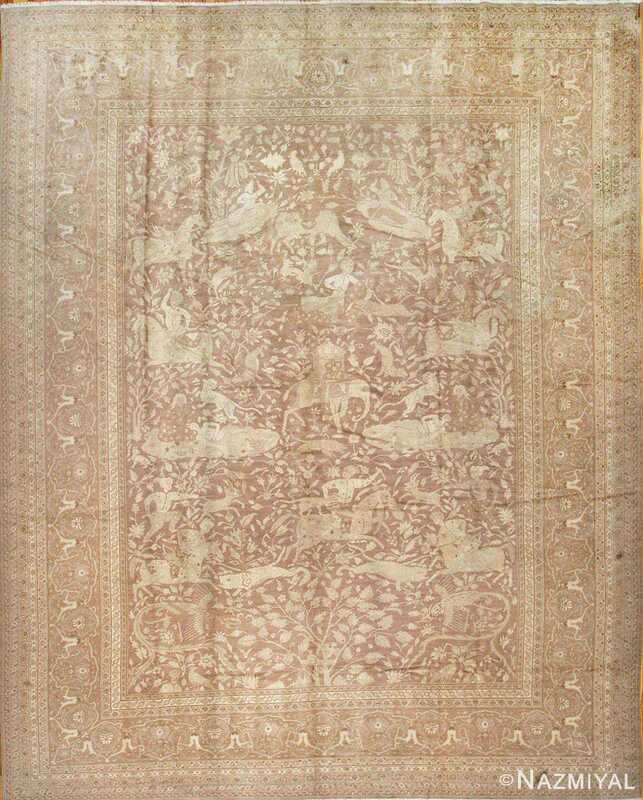 A dramatic hunting scene woven with a combination of earthy colors decorates the field of this stately antique carpet from Amritsar. 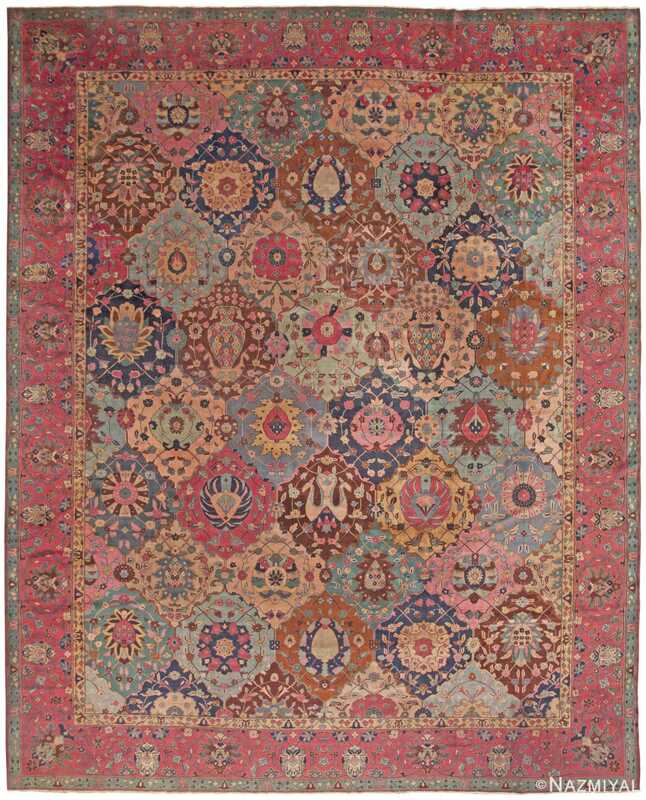 Few nineteenth-century carpets capture the rich and elegant detail of classical Persian and Mughal design with the skill and authenticity of this sumptuous antique Agra from India.